Chris Jordan’s an artist I’ve been following for a few years, after my adventures as an anti-plastic zealot. I didn’t throw away any plastic items I used for two months, with the intent of collecting a year’s worth, but my bags were stolen, likely by an environmentally friendly scavenger looking for a few extra cents. Can’t blame ‘em. Anyway, Jordan’s digital work is sublime in its implications, I think it is a little too pat. I did have the pleasure of seeing them full sized at Seattle’s Pacific Science Center. 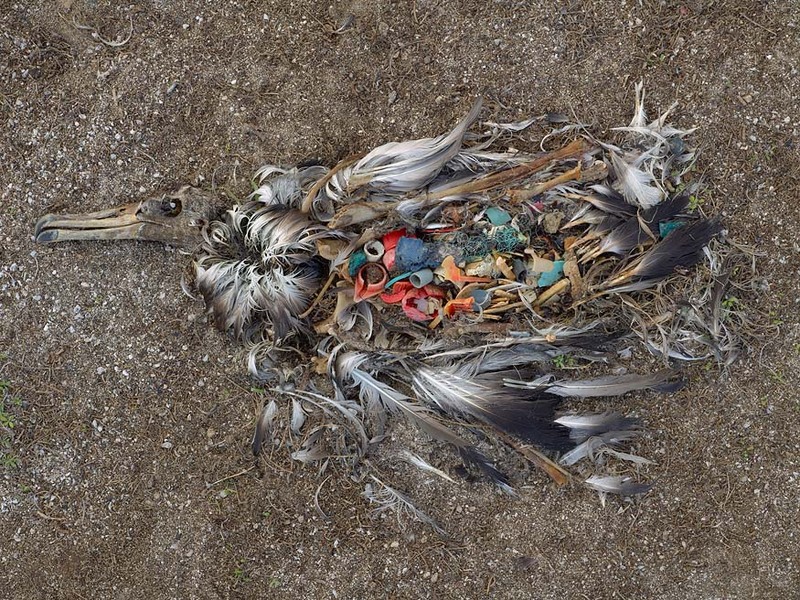 However, seems he just released his new project documenting the bellies of dead albatrosses… filled with plastic. I had only seen a small image of this phenomenon before, but now Jordan seems to have gone deep into the Pacific and has captured a bunch of these images. They are terrifying, and as pics of dead animals often are, beautiful. Man I hate plastic, and the nightmare of the Pacific Garbage Gyre just makes me weep. Check out more at Jordan’s site. If you follow science news, there’s been a big stink about a new arachnid discovery. On a planet where approximately 40,000 species of spider are predators, a single species stands out as being mostly herbivorous. It’s the only spider that lives off plants instead of horrifically consuming other wee creatures. They steal ‘beltian bodies’ from acacia plants which are special symbiotic adaptations to feed ants. The little arachnid dudes bob and weave to avoid the legion of insect defenders and grab the little tasty bits for themselves. 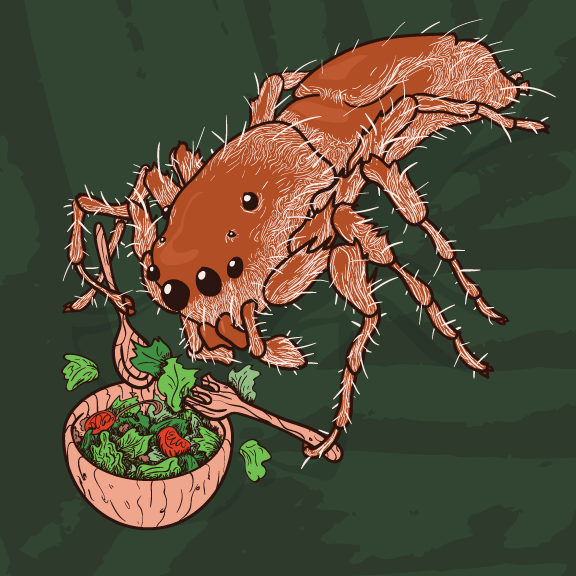 So, I dunno, as my first actual fine art drawing in a long time, I present the vegetarian spider. It will be a contribution to the 8×8 show at the Peoria Art Guild. Deadline’s just expanded to Nov 14, so you can contribute too! You are currently browsing the Arius Eats Crickets blog archives for October, 2009.